This recipe graciously stolen from Everyday Grain-Free Gourmet, written by Jodi Bager and Jenny Lass. 1. Let’s make the bottom layer first! Line a baking sheet with parchment paper. 2. Mix all of the bottom layer ingredients until well-combined. 3. Spread the mixture on the prepared baking sheet – not too thick (about 1/4 in.). 4. Now the top layer! Pour the honey into a medium-sized pot and boil on low to medium-low heat until it reaches 300° F. (You’ll need a thermometer.) If you don’t have one (you really should! ), 8 or so minutes should be enough – the honey should turn a healthy brown color. Make sure to stir the honey as it boils. 5. Turn the heat off, but keep the pot on the burner. Add the cup of nut butter and the butter and mix thoroughly. 6. Quickly, now, pour the mixture over the bottom layer until it’s completely covered. Use a spatula to spread it evenly. If the mixture becomes too stiff, just reheat it. 7. Let it cool for a bit (15 min?) and place the sheet in the refridgerator until the candy is nice and crunchy! 8. Subtly break off pieces to enjoy and blame your spouse as the candy shrinks. 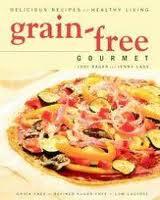 Another excellent recipe from Everyday Grain-Free Gourmet! This has become my go-to peanut butter sweets recipe. As the original authors state, this candy reminds you of a certain crispety-crunchity candy you might also enjoy! This recipe graciously stolen from Amber at The Tasty Alternative. 1. To a food processor add: lime juice, honey and avocado. Blend until well incorporated. 2. In a bowl, add 1/3 cup of room temperature coconut milk and mix in the gelatin and allow the gelatin to “bloom.” 3. Slowly heat the remaining coconut milk on the stove top (do not boil). 4. Remove the pan from stove top and add the gelatin mixture into the pan and whisk with the heated coconut milk. 5. Pour the coconut milk mixture into the food processor and blend for 10 seconds. 6. Pour mixture into a 9″ pie dish (with the crust already in place) and place in refrigerator for at least 8 hours. 7. After the mixture has set, top with whipped lemon coconut cream (below) and return to the refrigerator for an additional 2 to 4 hours. 1. To a bowl add the honey, vanilla and lemon flavor. Mix. 2. Scoop out the coconut cream and add to the bowl. 3. Mix on high with hand-held mixer until well incorporated. 4. Quickly top pie and place back in the refrigerator for 2 to 4 hours. You wouldn’t believe a pie recipe containing avocado would taste so much like the real thing! Not only does the avocado add a fullness of texture and flavor, it contributes the familiar green color to the recipe. My go-to pie of choice. This recipe graciously stolen from Grain-Free Gourmet, written by Jodi Bager and Jenny Lass. 1. Heat the oven to 300° F.
2. Process all the crust ingredients in a food processor until the mixture starts to form a ball. The butter may still be visible in the dough. 3. Flatten the dough into a round disk between two large pieces of plastic wrap, and gently roll the crust out to a 13-inch round. Put the dough, still between the plastic wrap, on a baking sheet, and chill in the fridge until firm, approximately 10 minutes. 4. Remove the crust from the fridge. Working quickly, peel off one side of the the plastic wrap. Invert the crust into the pie plate and remove the remaining plastic wrap. 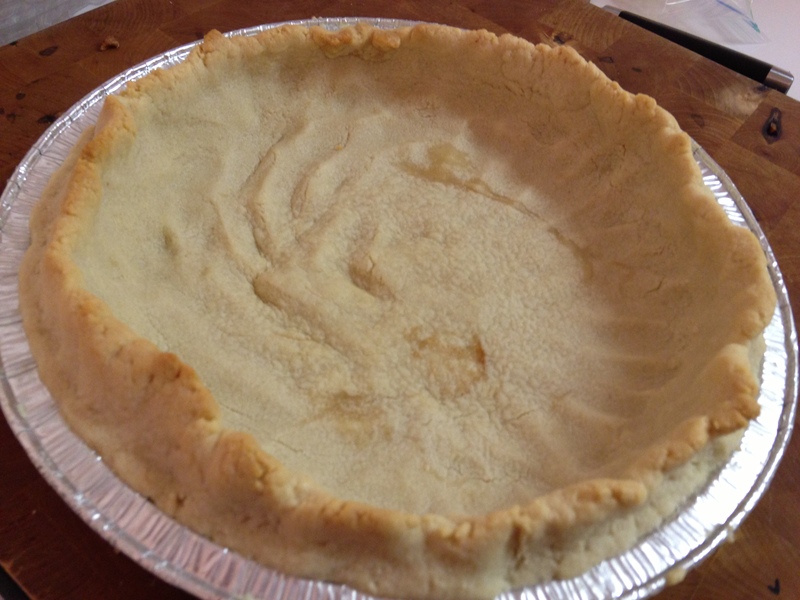 Cut off the dough that overhangs the pie plate and eat it save it for the pie topping. 5. If presentation is important, decoratively crimp the cut edges of the dough. If there are any holes or tears, just pinch them together. 6. If serving a pie that will be baked, bake for 15-20 minutes until just beginning to brown. If serving a pie that will be served cold, bake for 30-35 minutes until brown to your liking. 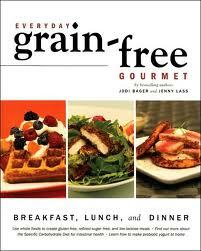 This is another hit from Jodi Bager and Jenny Lass’s hit cookbook Grain-Free Gourmet. Seriously – go buy it already! We use this recipe as the crust for all of our pies. Recent recipes stolen have been graciously from Grain-Free Gourmet and Everyday Grain-Free Gourmet by Jodi Bager and Jenni Lass. 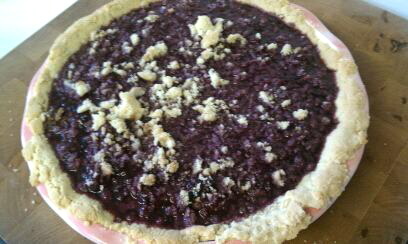 The Take: Well, we did not have enough blueberries, so it is really Blueberry, Blackberry, Strawberry and Cherry Pie…. or Bumbleberry Pie! Regardless… Yes yes and yes! In fact, so pleasing, I am making it tonight with peaches to see how that goes, looks promising! 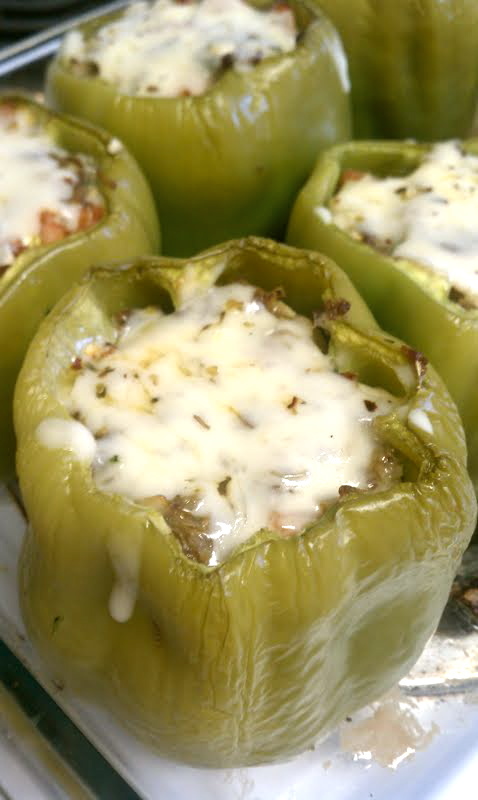 The Take: Jordan thought he didn’t like stuffed peppers, however, Lauren didn’t know when she planned the meal. Thankfully it knocked of his socks and he no longer has cold feet about them… that doesn’t even make sense… WE LOVED THE FLAVA FLAV! The Take: Lauren’s favorite ice cream, which happened to be seasonally around her birthday, was Braum’s Pumpkin. Her heart inexplicably melted from this frozen treat. What a beautiful flavor! This ice cream tastes like fall and is SO easy to make! So far, soooooooo good. We say, buy ’em! This recipe graciously stolen from comfybelly.com. 1. Preheat oven to 310 degrees F.
2. Combine all the muffin ingredients and blend well (we used food processor, but hand is great too). 3. 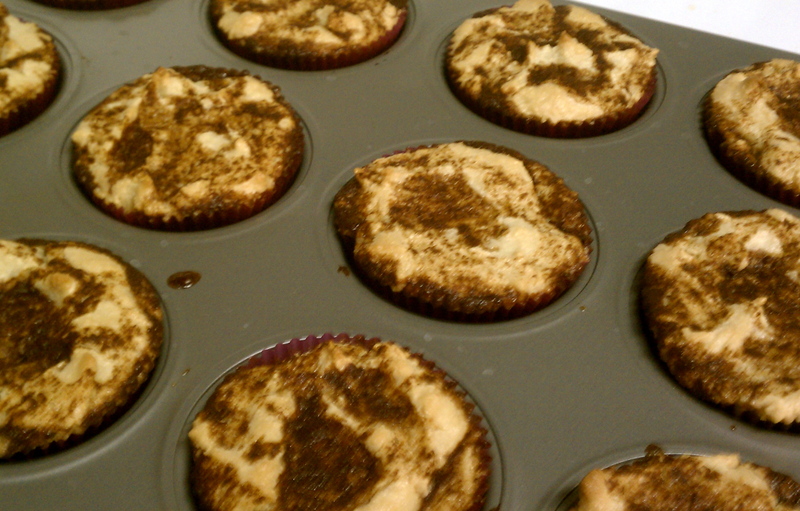 Place cupcake liners in a baking pan, and fill the liners halfway with batter. 3. Blend all the topping ingredients well with fork. 4. Add about a tablespoon of topping to the center of each muffin. 5. Place another scoop of batter on top of each muffin until the batter just about reaches the top. 6. Evenly distribute the remaining topping over the top of each muffin. Optionally, use a toothpick to poke at the top of each muffin to allow some topping to drip into the batter. 7. Bake for about 25 minutes, or until a toothpick placed in the center of a muffin comes out clean and the tops are starting to brown. They are moist, flavorful, and glamorous! These buns are better than J. Lo’s! THEY ARE BEAUTIFUL! The most amazing part to me is that if you handed these muffins to a friend, they would have no clue they were made with the nontraditional ingredients. if you like cinnamon, you’re just gonna die. The following dishes were graciously stolen from NoMoreCrohns.com and Peggy Rogers at BTVC Yahoo, to be married and consumed forever and ever, amen. 2. Allow mixture to cool (using the freezer or refrigerator will cool it faster, 1 hours time, if you need the ice cream to be ready quickly). A colder mixture makes fluffier ice cream – patience is a virtue! 4. Pour into a countertop electric ice cream maker, and process for about a half hour; or until thick and creamy. 5. Carefully spoon into a low, long container and freeze immediately. 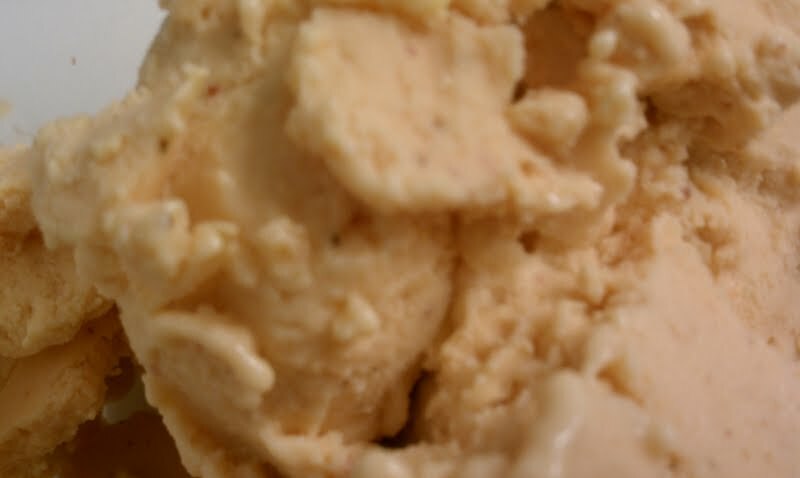 The ice cream will lose its soft texture over time – better eat it quickly! This is very good! It has a tartness that is kinda refreshing (due to the SCD yogurt.) 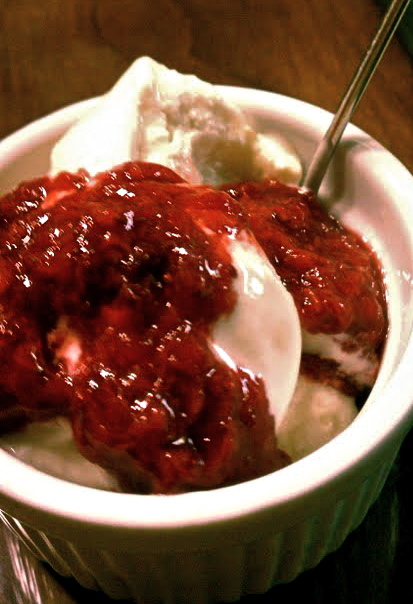 If you want a creamier, less tart ice cream, try making your yogurt with half and half or heavy cream! 1. Combine fruit and cranberries, bring to a boil (add a little water or orange juice if liquid is needed). 2. When fruit is tender, mash with potato masher or anything else that works. 3. Simmer until desired consistency is reached. It splatters a little bit, so be careful! 4 or 5 cups of fruit will get you about 2 jars of jam. We made red plum, blueberry, peach, strawberry, and cherry jams! Our favorite is strawberry! We think it will last a few weeks in the fridge or a few months in the freezer. This recipe stolen graciously, oh so graciously, so so0 graciously, from Carol Pomplio of BTVC Yahoo. 1. Melt cocoa butter (use a water bath or a double boiler). 2. Once cocoa butter is melted add the rest of the ingredients. 3. Warm all the ingredients and stir until smooth. 4. Remove bowl from hot water bath and let cool for a few minutes. 5. Line a muffin tin with baking papers. Ladle about 1 Tbsp. mixture into each. 6. Freeze or refrigerate until firm. Store in freezer. 7. If you are kind of attached to your mind, stand back with first bite, as it will be blown. These. Are. Amazing. You almost believe you’re eating a Reese’s peanut butter cup! Unfortunately, peanut butter is advanced and they make my stomach hurt a bit… but these are the treats you hide from the rest of the family, they’re that good!